Pull up decking simply and safely in a fraction of the time, while cutting costs and boosting productivity. Works on many types of decking and fasteners. Let’s talk Strength We actually hang 825 lbs. of weight on the 7.6 lb. 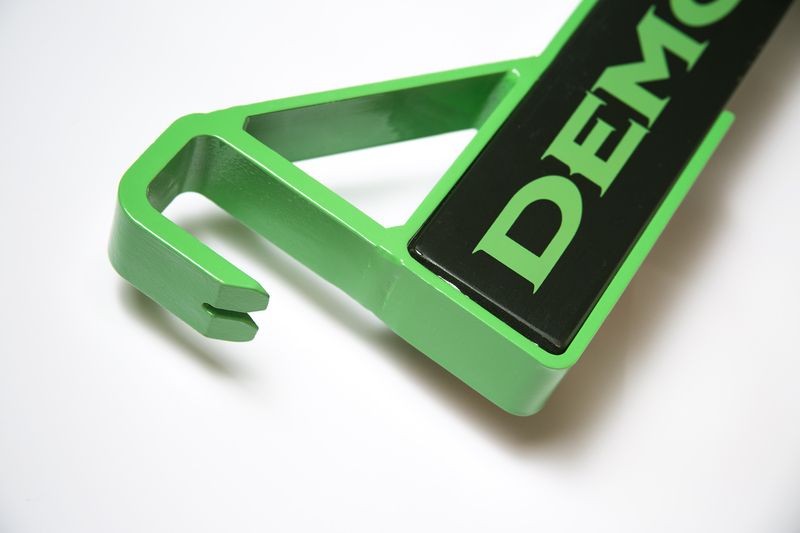 Demo-Dek tools’ handle to not only make sure every Demo-Dek can stand up to strength far beyond what any person could apply, but many times more than even the best fasteners can withstand. We use heat-treated ultra tough alloy for the lifter to match the strength of the bamboo handle. 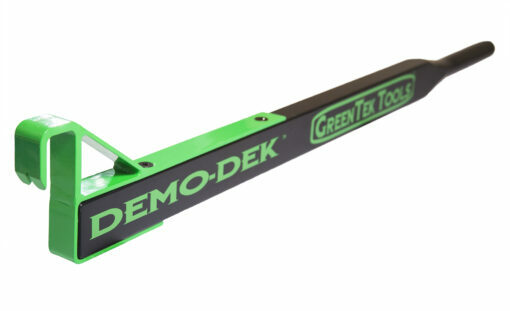 Let’s talk Ease of Use The Demo-Dek guys know how frustrating it can be to deal with a pesky nail. More often than not, the Demo-Dek can remove a 16 ft. board in one pull. The integrated nail puller allows you to easily remove stuck nails and residual fasteners that have been left behind. No need to purchase a separate nail remover tool! Let’s talk ROI Demo-Dek will appeal to every decking contractor who does any amount of deck construction or dock work, as it will pay for itself BEFORE the first deck renovation is done! Decking contractors will be able to present a lower price to customers because the old deck boards have been torn off in a FEW MINUTES instead of HOURS. 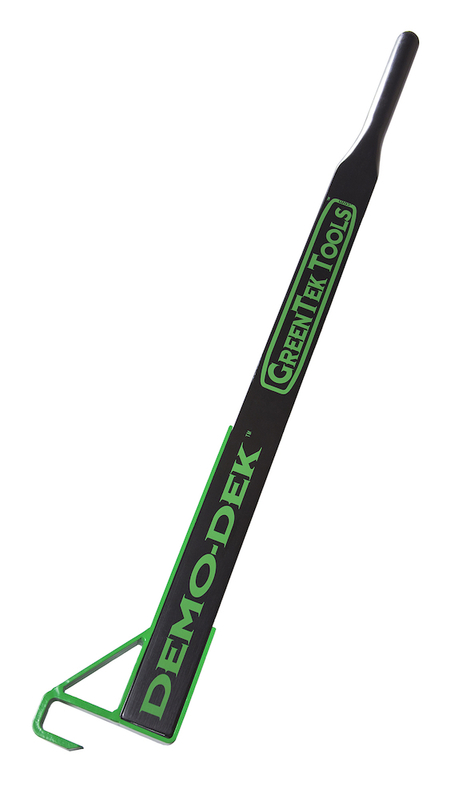 The Demo-Dek gives every contractor a clear advantage over their competition. 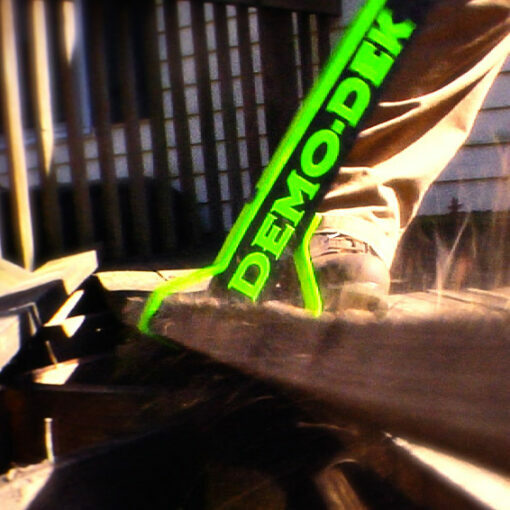 The Demo-Dek was developed by Ben Weinreich, a professional decking contractor from the Baltimore area. Drawing upon extensive experience in the industry, and a background in engineering, he invented a tool that removes ANY deck board, in ANY configuration, with a minimum of effort. Warranty We warrant against manufacturing defects for a period of 1 year. Return Policy Unopened items in new condition and returned within 30 days will receive a refund or exchange. Return shipping will be at the expense of the customer. LOL…I get your “fun” comment! It works very well. I’m 60, but I had my 25 year old son in law help me. We took down a 15×20 foot deck in about an hour an a half. The boards were screwed in, so it was a bit harder than the video made it look, but it worked great. It was also kind of fun in a weird sort of way! Mr. Dary, Thanks for your kind words. Please spread the word about the Demo-Dek. Customers like you are our best marketing tools. Also know that we have discussed Shark Tank on many occasions. This product is amazing! I was ready to give up and was skeptical it would work as advertised. Even with three screws in every board at every joist, I was able to pull up the boards without having to use an angle grinder to cut out the screws. It was work, but given the number of screws, there was nothing else that was going to do the job. This product needs to go on Shark Tank and reach a larger customer base! Tool is great. Best tool I have used for deck demo. I am a deck contractor and use this every day. This tool is amazing and will revolutionize the deck rebuilding industry. I am amazed on the speed and ease of this tool. We tore up six 8’x16′ decks in 24 minutes. An average of 4 minutes per deck. It’s amazing. I have seen and used this product on my own personal deck. It would’ve taken me days to get the decking boards up and we were able to get it all up within hours.